Carolyn Hyde McCartney, 65, of Edinboro, passed away on Monday, November 9, 2015. Born on August 27, 1950, she was a daughter of the late Ernest Hyde and Esther Weaver Hyde of Erie and she lived most of her life in Northwestern Pennsylvania. She graduated from Iroquois High School, Class of 1968, and Indiana University of Pennsylvania, Class of 1972. She married Gary McCartney on August 6, 1977 and he survives. In 2010, she retired from the Social Security Administration where she had worked for more than twenty years as a Service Representative. Carolyn was preceded in death by her parents – Ernest and Esther (Weaver) Hyde of Erie. She is survived by her husband of 38 years, Gary; her son-Zachary McCartney and his wife, Leah; her daughter – Shannon Clark; and her granddaughters – Evelyn McCartney, Annelise Clark, and Kylene Clark. She is also survived by sister – Barbara Gray and her husband, James of Greenville, North Carolina. 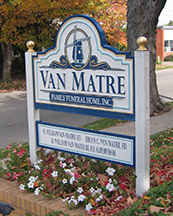 Friends may call at the Van Matre Family Funeral Home in Cambridge Springs on Thursday, November 12th from 2-4 and 7-9 and on Friday from 1:00 until 2:00 when funeral services will begin. Reverend Rod Beardsley, pastor of the First Baptist Church in Cambridge Springs, will officiate. Interment will follow at Venango Cemetery. In lieu of flowers, donations may be made to Regional Home Health & Hospice in Erie, 2564 Village Common Drive, Erie, PA 16506-7202. Carolyn was a good friend and coworker. She was one of the sweetest and smartest person I have known. I know you will cherish the memories. My heart goes out to you. I’ve known Carolyn practically my whole life, since Sunday School at Lawrence Park Methodist Church, through college at IUP, through years at Social Security in Meadville and Erie. She was a wonderful friend and co-worker, and I know her family feels her loss deeply. My prayers go out to Gary, Zach, Shannon , Barbara, and the whole family. God will be with you.